The subjects that Natural History photographers go out in search of depends on the time of year and their own interests. But like many photographers who enjoy macro work, each autumn fungi is on my list of subjects to be looked for. In Britain we have many hundreds of fungi species, many can be very tricky to identify, indeed fungi varies a lot from year to year, each year is different, and one never knows what will be found. 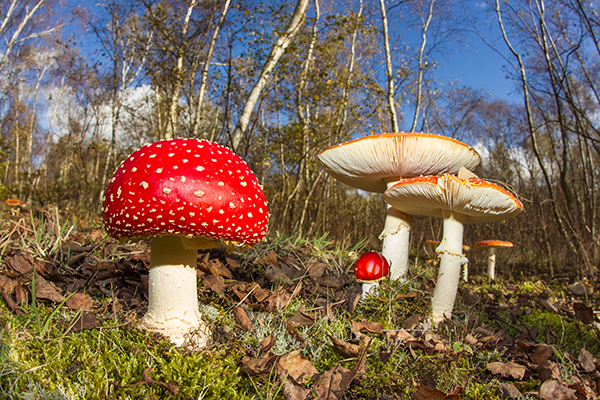 The above image shows one of most easy recognisable fungi species the Fly Agaric which in many ways looks like the classic Toadstool that everyone associates with fungi. They are a poisonous species which are best left to view and photograph rather than touch. The image was taken in Kent in November.